With the Kanto Event officially over I have to say I’m pretty happy with how things ended up. I’m curious as to what this means for the future of Kanto spawns in the game. Are they going to be strictly limited outside of events? 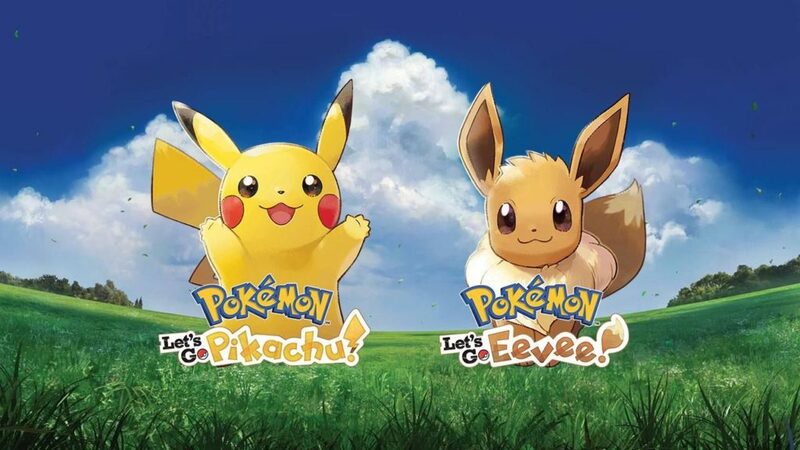 At the release of Gen 4 there will be nearly 500 Pokémon available in the game. Divided equally that will seriously dilute the Kanto pool. Will grinding for Starly be the new grinding for Pidgey*? *I had to look that up as I have no clue about Gen 4 at this point. Here are some of the highlights and regrets about the event now that it’s over. 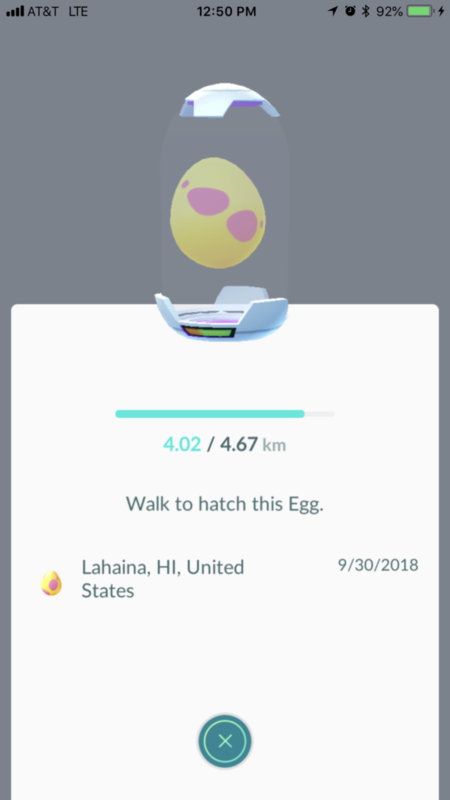 7km egg hatches were exciting for maybe a week when they were first released as you had a chance to catch the Alolan forms for the first time. They quicky became stale as there were really only four Pokémon that you could hatch that weren’t spawning int he wild. After you hatched them all the thrill was gone. Having 7km eggs have the prospect to contain something more interesting (the regionals) they became more exciting. The prospect of getting the never before released regionals was exciting as well and that it was dependent on this new friendship system was very cool. I ended up with seven Kangaskhan, six Mr. Mime, and ten Farfetch’d. I have no idea on how many Tauros as I transferred all but one. Now with my Kanto Pokédex finally complete I can move on to simply waiting for the release of the missing Pokémon or eventual release of the other regionals I am missing from the Hoenn region. 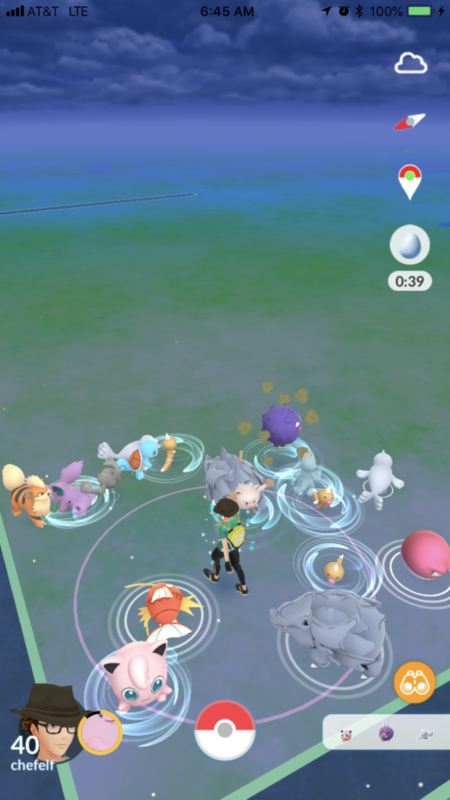 It seems like they have made Pokémon from outside your normal biome spawn in increase numbers. I have never seen a Doduo or a Sandshrew in my neighborhood but they’ve been out in huge numbers for two weeks. Still that hasn’t been enough to entice me to catch either as they are not really relevant to the meta. I have, however, been able to add thousands of candy for the the Kanto starters even though I already have tons from Community Days. I have also gotten thousands of Machop, Geodude, and Rhydon candy which are all incredibly relevant for battling so that’s been great to stock up on, not knowing when they’ll be out in such numbers again. Like most players I’ve encountered a tiny number of Chansey since the game launched and it was truly my last Pokémon to get in the original Kanto Pokédex excluding regionals and my own stubborn need for a good IV Dratini to evolve. 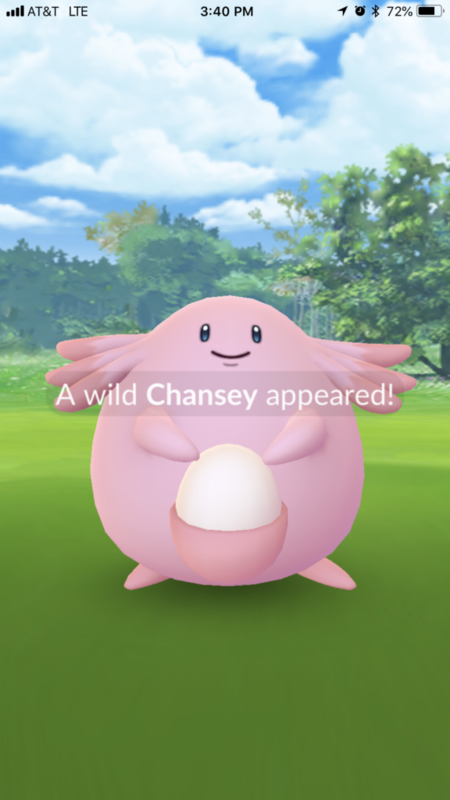 That’s 90 Chansey Candy, bringing my total Chansey Candy to 473 as of the end of the event. Most importantly I finally got my first Chansey with Great IVs: 98%. The only problem is its CP is 153. 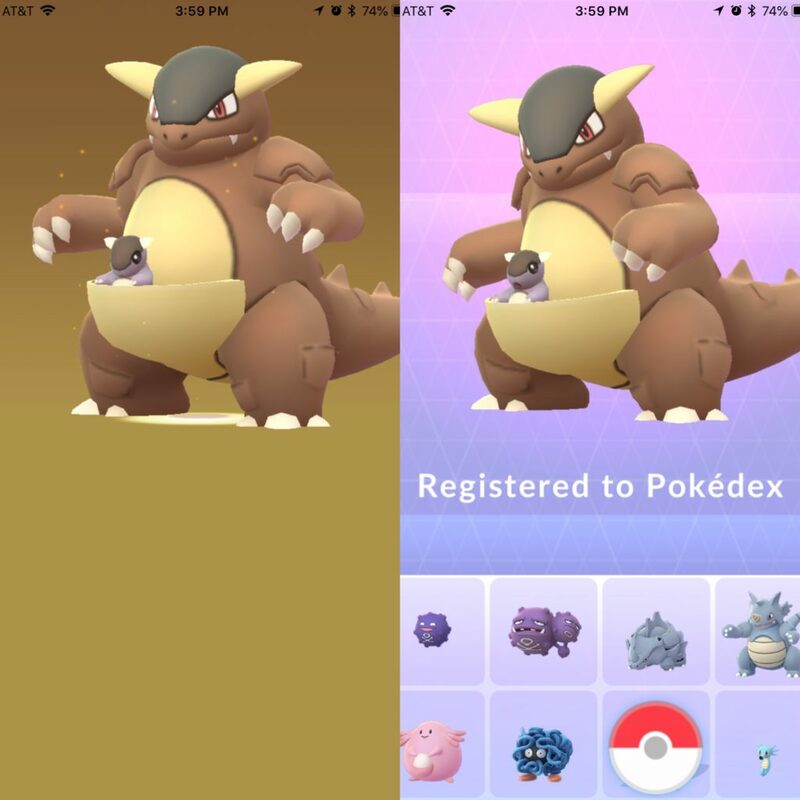 To max it out will cost 348 candies and 268,400 stardust. 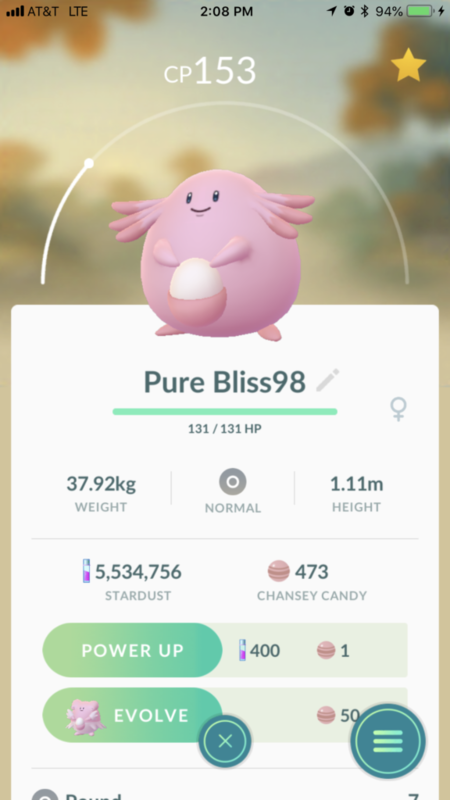 Normally I just bring Pokémon up to level 30 (which would cost a mere 251 candies and 118,400 stardust) but with a near perfect Chansey it may be hard to resist maxing it out. I’m also planning on trading for some lucky Chanseys so who knows? Maybe I’ll get a higher CP Chansey with similar or better IVs! Overall this has been a great event. I didn’t encountered a single wild Snorlax! 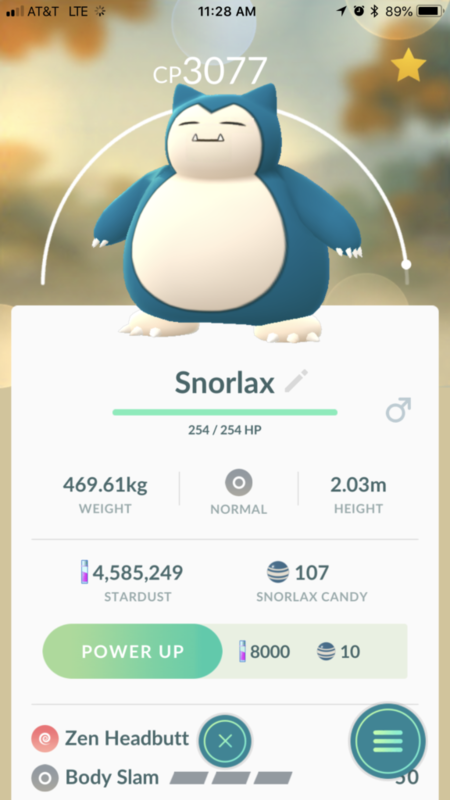 I’m not complaining about the Chansey but I haven’t seen a Snorlax in the wild since January. It would have been great to catch a few during this event. There really weren’t any third tier (or even second tier) evolutions spawning during this event. I have only encountered a wild Dragonite once in this game. It was nice having Dratini as a raid boss but it would have been cool if they upped the possibility of running into a Dragonite, Charizard, or Poliwrath even a little. 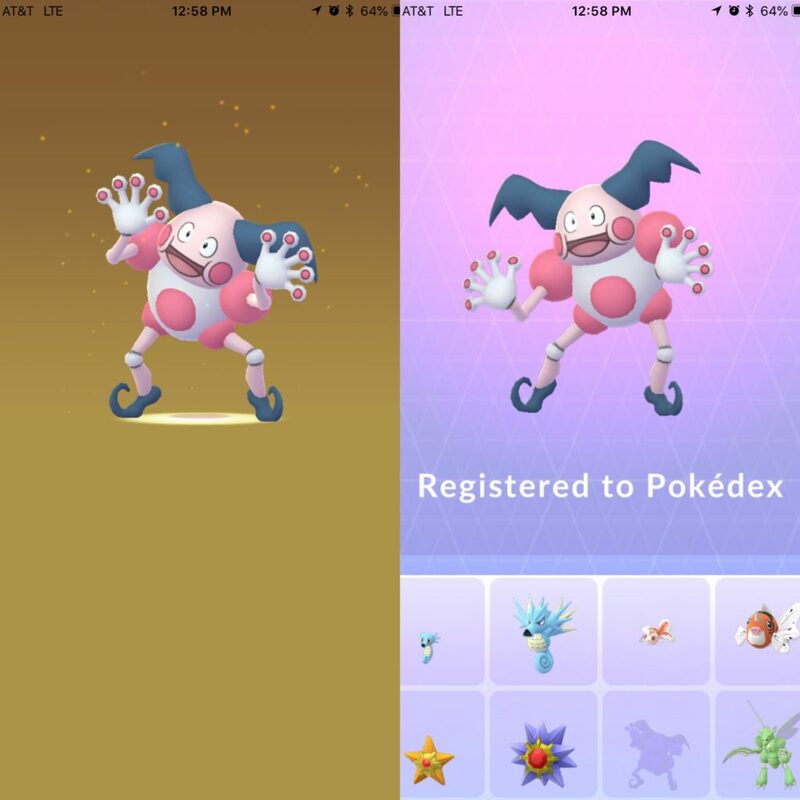 The first few days, even week, we saw Tangela, Porygon, Hitmonlee, Hitmonchan, and Chansey popping up. These are Pokémon that many players could easily be missing. It makes me wonder why we didn’t see more overall diversity in the spawns. 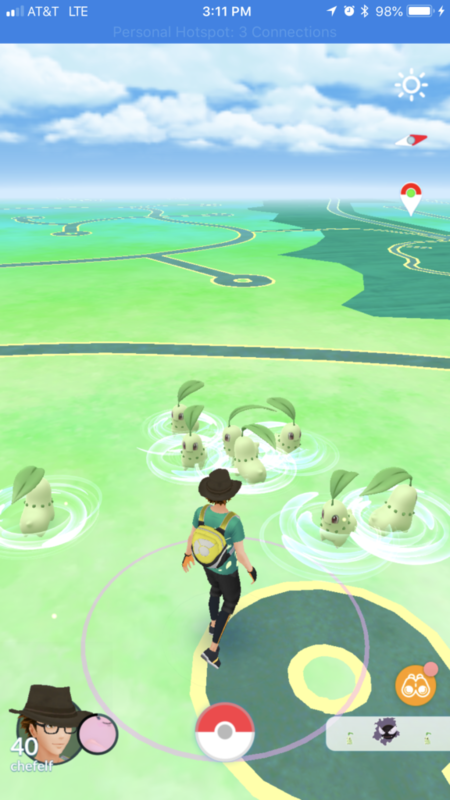 I didn’t see Clefable, Scyther, Kabutops, Onix, or any number of rare spawns that could have made given the event a little more excitement. Imagine running into a wild Muk or Vileplume. They’re useless in the meta and I’m not hurting on candies for either but it would certainly be fun to see them out and about. 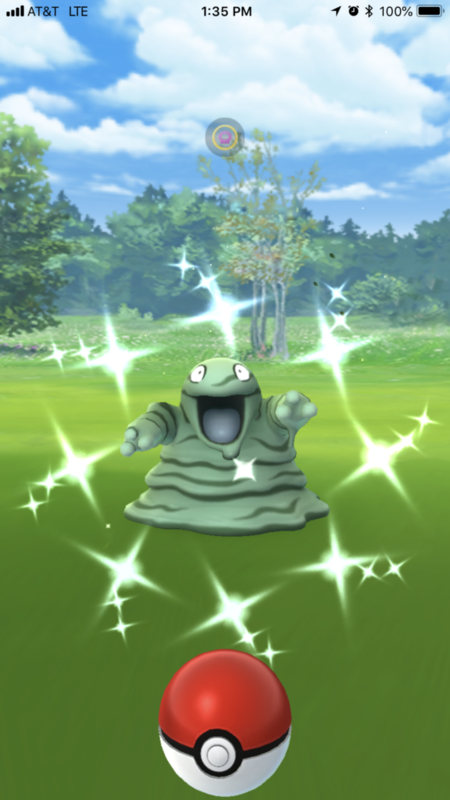 Two new shiny Pokémon were introduced for this event: Grimer and Geodude. I managed to catch a Grimer but came up empty on the Geodude. I missed out on Omanyte a few months back and the likelihood of catching them outside of the spawn rates of an event is pretty tiny. 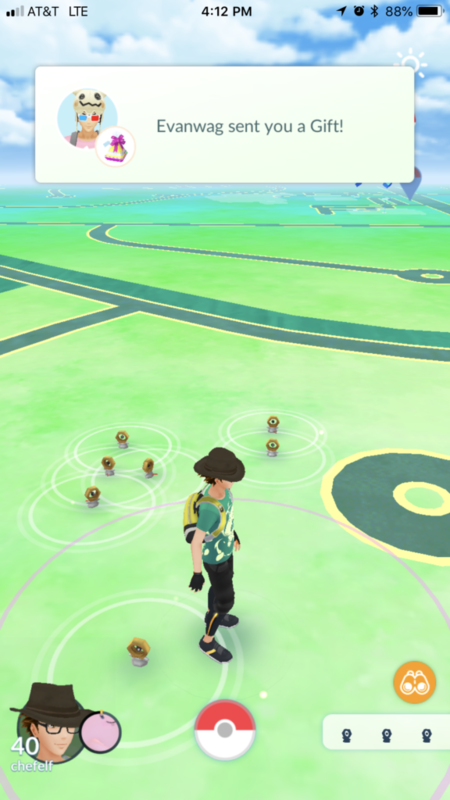 I’ve caught hundreds and hundreds of Geodudes with no luck. Growlithe was released shortly before this event and no luck with a shiny on that front either. This event was so good at building candy and stardust for meta relevant Kanto Pokémon that I almost forgot we had a Community day in the mix as well! I only hunted for Chikorita for a little over an hour but came away with seven shinies. 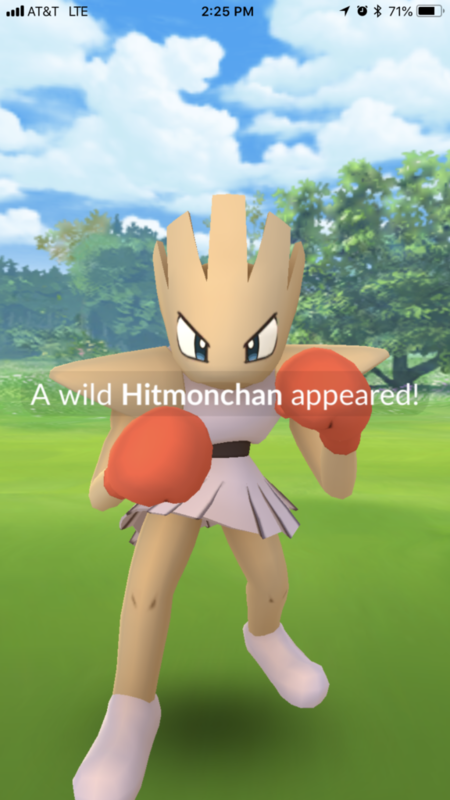 The spotlight was stolen by a new Pokémon which we learned, days later, is named Meltan. They dominated the end of the event but, sadly, all transformed immediately into Dittos after being captured. I’m a father of three in his forties so, naturally, this got me super pumped for this release! *Before your midlife crisis is over! a new reader. What could you suggest about your publish that you made some days in the past? evil ice cream truck. I thought all Nevada offered was strip joints and casinos,” Bryan laughed. (Don’t pay attention to any losing hands in your free play) just focus on how “easy” it is to win. Hello, I do think your website may be having browser compatibility problems. folks get together and share opinions. I absolutely agree that stability in the industry on the contractor is a superb sign which the contractor is performing a terrific job. enough heat anymore, that is bringing about a considerable amount of discomfort while in the house. I’ve read this submit and if I may I want to suggest you few attention-grabbing things or suggestions. My 17 year old brother doesn’t eat meat and has horrible acne on his face, could not eating meat be the cause? have something to add to the discussion. It is a result of the passion communicated in the post I looked at. And on this article Pokémon GO Kanto Event Review. I was moved enough to drop a comment 😉 I do have a few questions for you if it’s allright. it has some overlapping issues. largest changes. Thanks for sharing!| I really love your site.. Very nice colors & theme. Did you create this site yourself? or what the theme is named. I am not sure where you?re getting your information, but good topic. colors & theme. Did you develop this amazing site yourself? and start utilizing the resources you have given me. Your exuberance is refreshing. the book in it or something. I feel that you can do with a few p.
I seriously love your site.. Pleasant colors & theme. Did you build this site yourself? to supper before homecoming and we are looking for some cheap tasty places to eat. Ideas? In & Out Burger never disappoints. Do it now. I feel this may be an amazing little device for someone simply beginning too get into the world of health. What’s up to every body, it’s my first go to see of this weblog; this website consists of amazing and genuinely fine material designed for readers. What’s worst band of all-Time? Grateful Dead has my vote for worst band ever. I like the Eagles. They’ve made a lot of great music. Its such as you read my thoughts! You seem to know a lot approximately this, like you wrote the e book in it or something. I believe that you just could do with a few % to power the message house a bit, but other than that, this is magnificent blog.